Teenagers who drink a lot of alcohol triple their risk of deadly prostate cancer later in life, research suggests. 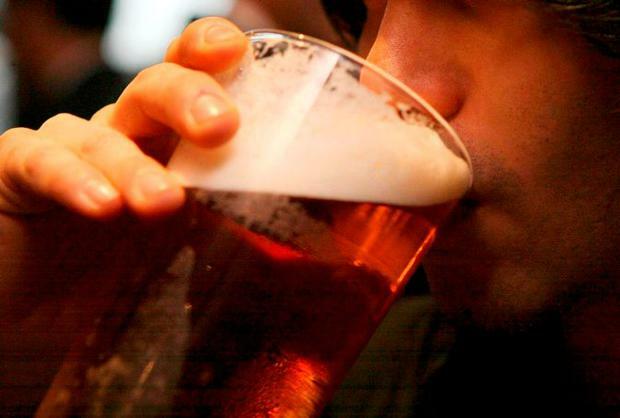 A study in the US found the massively heightened risk of “high grade” aggressive prostate cancer in men who had at least seven drinks a week between the ages of 15 and 19. Dr Emma Allott, from the University of North Carolina, said: “The prostate grows rapidly during puberty, so it’s potentially more susceptible to carcinogenic exposure during the adolescent years. Dr Allott’s team recruited 650 ex-servicemen aged 49 to 89 undergoing biopsy tests for prostate cancer. The men completed questionnaires which assessed their weekly alcohol consumption in each decade of life. Heavy drinking between 15 and 19 had no effect on general prostate cancer risk. However, consumption of at least seven alcoholic drinks per week over this age period tripled the likelihood of having high-grade prostate cancer, compared with non-drinkers. A similar level of alcohol consumption between the ages of 40 and 49 led to a 3.64-fold greater chance of being diagnosed with the potentially deadly disease. However there was no significant correlation between current alcohol consumption and high-grade cancer risk. Over the course of a lifetime, men who drank the most alcohol were three times more likely to be diagnosed with high-grade prostate cancer. While low-grade prostate cancer often causes little harm, aggressive versions known as “tigers” can quickly spread and prove fatal. Dr Allott said: “Our results may explain why previous evidence linking alcohol intake and prostate cancer has been somewhat mixed. The authors pointed out that men who consumed a lot of alcohol early in life typically continued to drink heavily. For this reason, it was difficult to separate the effects of cumulative exposure to alcohol and early-life drinking habits.